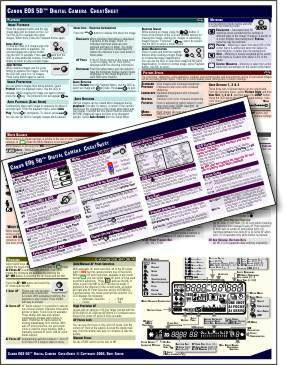 This is a one-of-a-kind CheatSheet for the Canon EOS 7D Digital SLR camera. If you own this camera, you know what an amazing device it is. But who can remember all of those functions?? It's color coded to help you find information FAST!